At VPP, our team is the backbone to our hospitals’ success. Our culture is one of trust and respect, and if you pay attention, you’ll notice that the faces on this page don’t change very often.  Get to know us a little better by checking out our bios and the core values that are the foundation of VPP. Ensuring veterinary ownership in a changing market. Respecting the individuality of each practice. 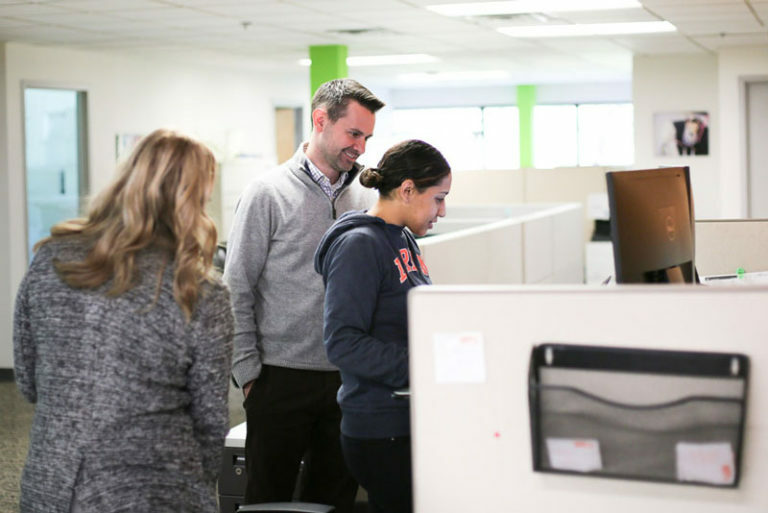 Investing in our people—they are our best asset. Providing best-in-class service and care. Sharing best practices & a commitment to continuous improvement. Amira Barakat, Analytics, at our 50th hospital party. Celebrating our 50 partner hospitals! CEO, Rich Lester, and Marketing Manager, Kelli Jost, sharing creative ideas for hospital recruiting. Chief Growth Officer, Win Lippincott, conducting a workshop with his team. The hospital marketing team on a retreat at the Jersey Shore. Marketing Manager, Emily Buickerood, hard at work building our partner hospital websites. Win, Amira, and Amanda collaborating on important partner hospital related matters at VPP headquarters. 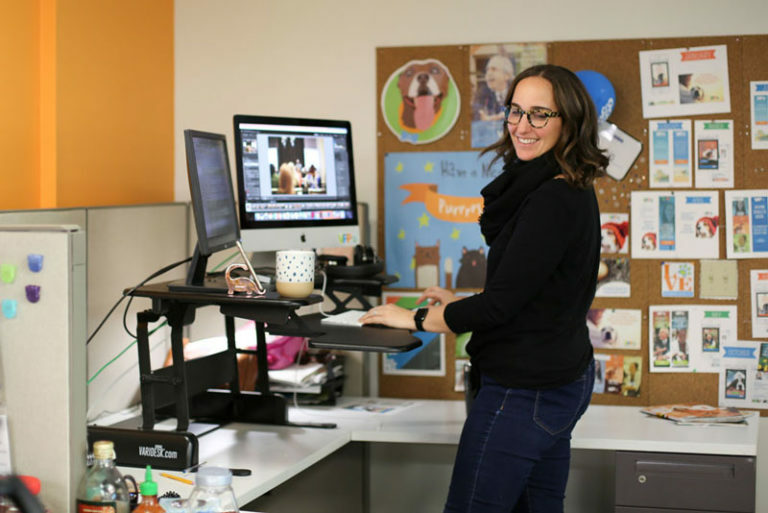 Brand Manager, Lindsay Kennedy, making good use of our standard-issue standing desks. 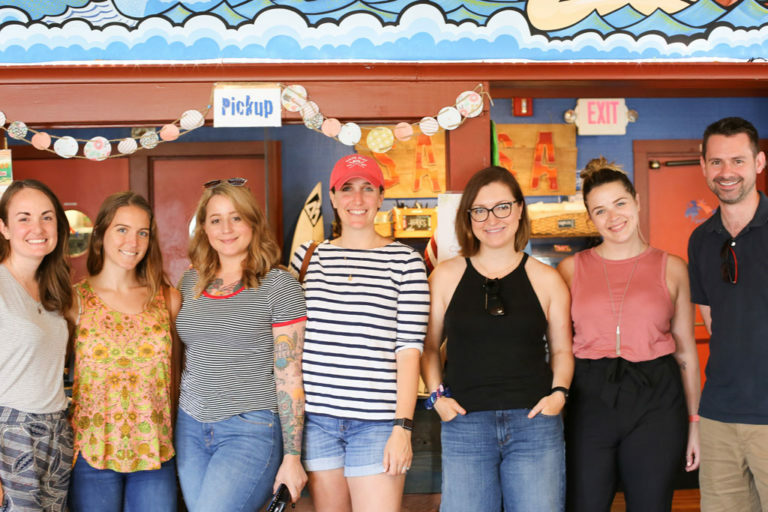 Lindy Quick, our Creative Content Writer, enjoying the VPP Marketing Department retreat on Long Beach Island in NJ. VPP Office Dog, Dayton, about to take a relaxing snooze. We’re proud of our hard-working team members and honored to be recognized, year after year, for our continued growth. Win serves as VPP’s in-house marketing expert, tasked with working with partner hospitals to drive new revenue growth through improved customer retention programs and new patient development initiatives. Additionally, he leads VPP’s own marketing efforts to attract new partner hospitals and DVMs to the firm’s growing network of partnerships. 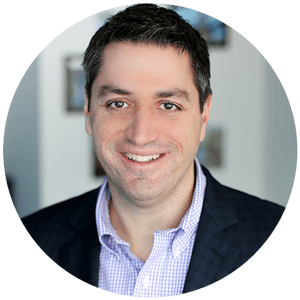 Prior to VPP, Win spent five years as the Director of Marketing for Foresite Sports, Inc., a leading specialty insurance provider, where he oversaw the company’s marketing strategy development and implementation. 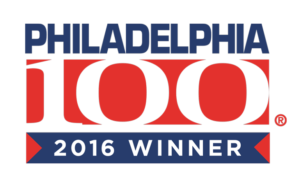 During his tenure, Foresite was recognized as one of the fastest-growing firms in the tri-state region through its inclusion in the Philadelphia 100 rankings.  Additionally, Win spent two years as a Senior Associate at Centerwood Partners, LLC, an alternative investment company where he co-led both its analytical equity research and business development efforts. Win received his MBA with a concentration in Financial Analysis from Duke University’s Fuqua School of Business and a BS in Economics with concentrations in Entrepreneurial Marketing and Strategic Management from the University of Pennsylvania’s Wharton School. Gary joined VPP in December 2012 to provide direct support to our partner hospitals. His focus is on training our practice managers, ensuring the hospitals maintain a positive culture, and helping ensure high quality cost-effective care is delivered to patients. Most recently, Gary had spent five years in the veterinary industry providing support and development to hospital teams in the Central Florida area. 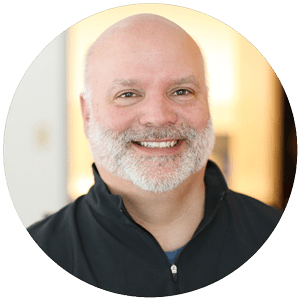 He successfully built a strong diverse team of doctors, practice managers, and staff delivering quality pet care and an excellent client experience while delivering exceptional financial results. Gary’s leadership skills have proven to help hospital teams develop best practices to improve the client experience. Gary also served various roles with Hertz at the district, territory, and region levels including Director of Real Estate and Director of Operations. He was tasked with leading the growth and development of a new division of the business serving the local rental car needs and had a part in opening more than 125 locations. Early in his career, Gary spent more than four years with Enterprise Rent-A-Car in various management and sales roles. He has also owned and operated multiple restaurant locations. Gary earned his Bachelor’s degree from Kutztown University in Business Management. 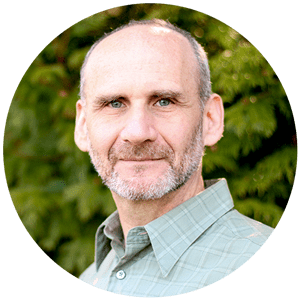 Doug joined the VPP team in 2015 to help develop more successful practices and bring new partners into the VPP family. His extensive experience in practice and strong relationships in the wider veterinary community will help improve every aspect of our partnerships. As the 2012-13 President of the AVMA, the largest member organization in veterinary medicine, he worked to make it more engaged and responsive to the profession and the needs of society. Respected by his peers, he chaired the Council on Education, was a member of the National Board of Veterinary Medical Examiners and is currently a member of the New York State Board for Veterinary Medicine. 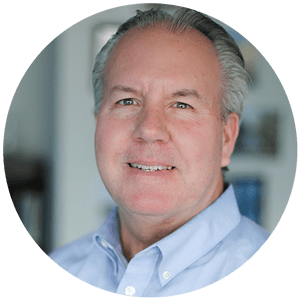 Doug has been an owner of two AAHA-accredited general practices and the managing partner of a group-owned emergency practice in the NYC suburbs. Most recently, he has been a determined voice in promoting women into leadership roles in veterinary medicine – including practice ownership- as a speaker and founding board member of the Women’s Veterinary Leadership Development Initiative. He attended Cornell University’s College of Agriculture and Life Sciences and received his DVM degree from their College of Veterinary Medicine. He and his wife are the proud pet parents of a Norfolk Terrier, an African Grey Parrot, and one awesome cat. 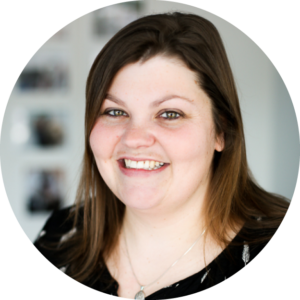 Hannah joined VPP in March 2018, and is responsible for engaging with individual practice owners to understand the unique challenges and opportunities facing their practices. 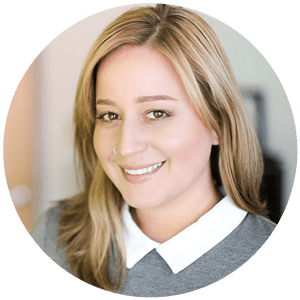 She works to cultivate meaningful relationships with owners and potential partners, adopting a consultative approach to guiding owners through the partnership process from initial discussions to integration. Drawing on her extensive experience after years in veterinary acquisitions and relationship development, she can provide a practice owner with a valued perspective into how a partnership with VPP can provide financial and operational benefits. Born and raised in the Carolinas, Hannah attended the University of North Carolina at Chapel Hill. She lives in Charleston, SC, with her husband, Allen, and two dogs, Coco and Folly, and cat, Fripp. 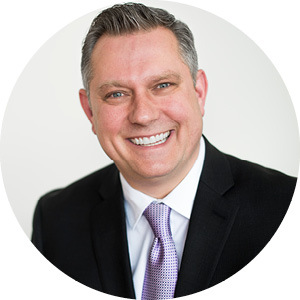 Prior to joining VPP, David served as Director of Development for a large Dental Group (DSO) with over 220 practices in 17 states. He was responsible for all practice acquisitions from valuation to integration throughout 5 states in the Midwest region. Additionally, he has more than 10 years of sales and management experience in dentistry with a focus on products and services that improved practice performance. Born and raised in Michigan, David spent nearly 20 years in Chicago before returning to Michigan 7 years ago to raise his children in a setting he and his wife remember fondly. David and his wife, Megan, have three daughters and an impatient French Bulldog named Vern. They enjoy spending time on and around Lake Michigan during the warmer months paddle boarding, sunset beach nights, having backyard barbecues with friends and family, and riding bikes with Vern in a bike trailer. They also enjoy snowmobiling and snow skiing during the snow season. Jonathan Karchner is VPP’s Senior Valuation Analyst, working with the Business Development team creating financial models and conducting due diligence for prospective partner hospitals. An avid Temple Owls fan, Jonathan holds a BBA in Finance from Temple University’s Fox School of Business. 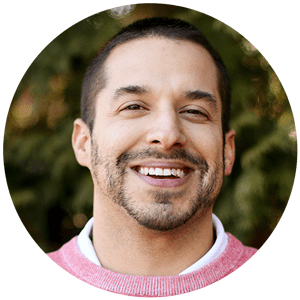 In his free time, Jonathan enjoys fishing in the Pocono Mountains or at the Jersey Shore, attending Temple University sporting events, or making the rounds at Philadelphia’s hottest new restaurants. He lives in Philadelphia with his wife and Long Haired German Shepard, Xena. 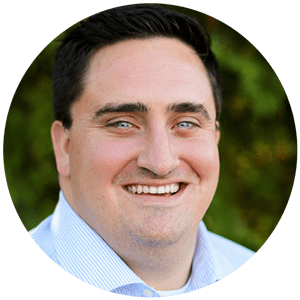 Vince has been with VPP since 2016, and now serves as the Business Development Manager, a role that is integral to partnership development efforts. 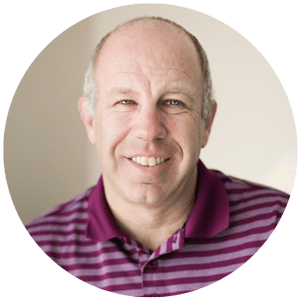 Vince is responsible for forming meaningful relationships with prospective partners by effectively communicating the advantages of VPP’s co-ownership approach and how VPP can help a practice reach its fullest potential. 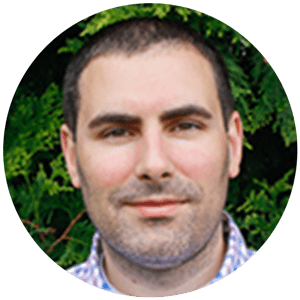 Prior to joining VPP, Vince worked as Field Energy Specialist at SolarCity, a company dedicated to clean energy services. In this position, Vince focused on expanding the company’s market reach in Philadelphia, generated quality leads with customers and properties, and fostered productive relationships with sales partners. Prior to SolarCity, Vince was a Personal Banker with Bank of America. 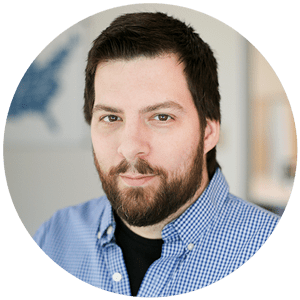 His strong communication skills, adept listening abilities, and enthusiasm for culturing profitable relationships allowed Vince to make continual sales, drive revenue, and meet service goals. Vince earned a BS in Business Management from Penn State University. Aura joined VPP in January 2014 to provide direction and support to our partner hospitals’ marketing campaigns. Her focus is on online reputation management, client retention strategies, and creative asset development. In addition, she handles the promotion and publicity of VPP to foster recognition of our continued growth and tremendous potential. In her previous positions, Aura led a variety of marketing campaigns, including analytical, research, and creative projects.  Aura has hands-on experience with web analytics, email campaigns, blogging, and marketing collateral creation. She received a BS in Economics with concentrations in Marketing and Hispanic Studies from the University of Pennsylvania’s Wharton School. 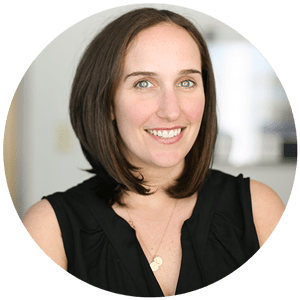 Lindsay Kennedy is VPP’s Director of Development Operations, working with the business development team to help define VPP’s voice with owners. 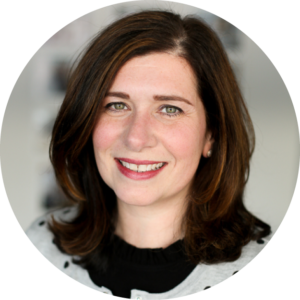 Lindsay helps design and structure processes within the bustling business development team, working closely with the Chief Growth Officer to achieve results. 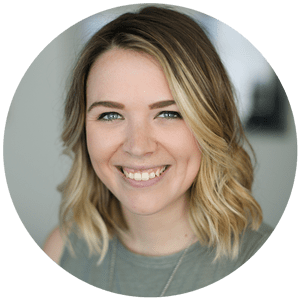 Along with her Biz Dev responsibilities, she also works closely with the marketing team to guide brand, while developing creative initiatives to get the word out about VPP’s unique business model. 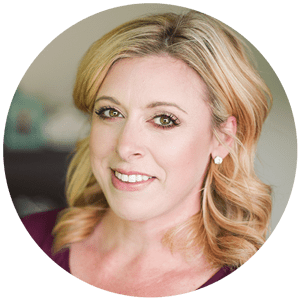 She has over a decade of experience creating and executing dynamic, scalable marketing strategies. 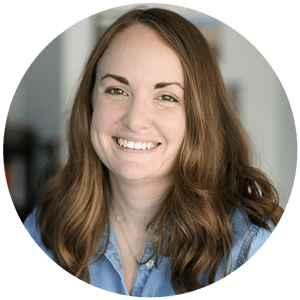 Along with her extensive business experience, Lindsay leverages her experience owning her own photography business in Chicago, IL, and you’ll still often find her with a camera in her hand at the VPP offices. She has a BA in Communication from the University of Dayton. 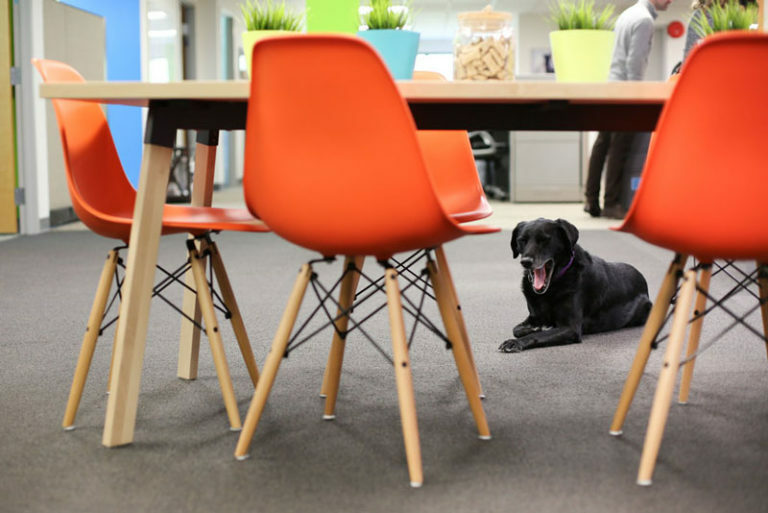 She lives in the Philly suburbs with her husband, two little girls – Ellie & Kate, and beloved black lab, Dayton, who also dutifully serves as VPP’s resident office dog. Emily Buickerood is VPP’s Senior Marketing Manager, assisting our partner hospitals with a variety of marketing activities to help drive new client acquisition and positively impact client retention. 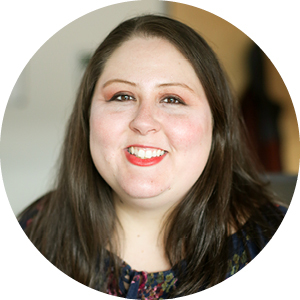 In her role, Emily works closely with our partners and managers to ensure that their marketing adequately reflects each hospital’s unique culture. Emily leverages her extensive background in marketing to help craft unique programs for each of our hospitals, including creating and maintaining our partner practices’ mobile and desktop websites, designing print materials, creating email campaigns, as well as carrying out hospital photography. In her spare time, Emily enjoys spending time with her horse, Duncan, going to the beach, or trying new restaurants. Emily earned a B.S. 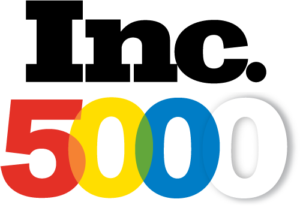 in Graphic Design Communications from Jefferson University, a certification in Freelance Website Development from Codecademy, and a certification in Web Development from New York Code & Design Academy. 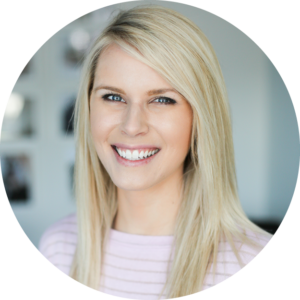 Kelli joined VPP in January 2018 and works as a Marketing Manager with a focus on Recruitment Marketing for all of VPP’s partner hospitals. 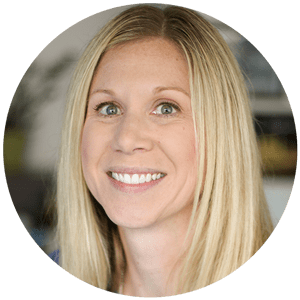 Kelli has spent over a decade executing marketing plans for small businesses, focusing on website development and digital content creation. 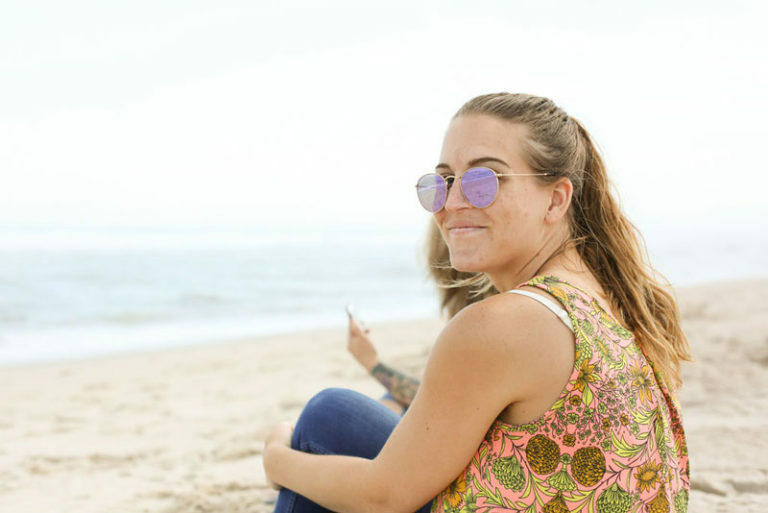 She has a Bachelor of Arts in Communication from Monmouth University and lives at the Jersey Shore with her husband, young son, and their dog and two cats, Griffyn, George, and Asher. Mark Dorfman is VPP’s Manager of FP&A working on our accounting team reporting up to the CFO. He conducts financial analysis for both the VPP corporate office as well as individual hospitals, and creates and manages budgets for our partner hospitals. In short, he’s one of our key numbers guys. He has a double MBA in Finance and Accounting, is a CPA and CFP, and has a Bachelor’s of Business Administration in Finance & Accounting. 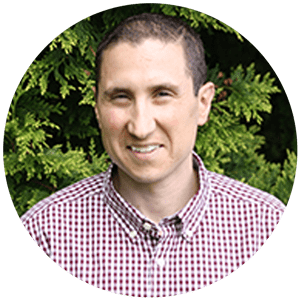 When he’s not crunching numbers, Mark enjoys riding his motorcycle (he even got married in St. Moritz, Switzerland while motorcycling through the Alps!) and horseback riding. He lives in Chestnut Hill, PA – famous for its acclaimed Harry Potter Festival – with his wife and cat, Mya. Ken Stonaker serves as VPP’s Assistant Controller. In his role, Ken manages balance sheets and P&L accounts across all hospitals including COGS, prepaid expenses, property level expenses, and sales tax liabilities. He also conducts analysis on inventory and financial statement analysis for our partner hospitals. Ken has a BSA in Accounting from Rowan University. When he’s not sneaking the office dog too many treats at work, you can find him exercising, fishing, or hanging out at his home in the Philly suburbs with his wife. Sandy Matos serves as VPP’s Accounting Operations Manager, managing activities related to cash flow and capital management. She earned her BS in Accounting from Laica University in Guayaquil, Ecuador. When she’s not at work, you can find Sandy shuttling her three daughters, Mabel, Emily, and Abigail, around to their various activities, or volunteering within her community. Michael Herdan joined VPP in May 2017 as VPP’s Cash Management Specialist. In his role, Mike is responsible for tasks like assisting the Senior Treasury Analyst in making daily cash transfers, booking daily bank activity and monthly revenue, and reconciling bank accounts for all hospitals. He has a BBA in Accounting from Temple University’s Fox School of Business, and also has a CPA certification. In his free time, he enjoys catching some rays at the Jersey Shore in the summer or downhill skiing in the winter. He lives in the Philly suburbs with his 7-year-old Boston Terrier, Rocky. 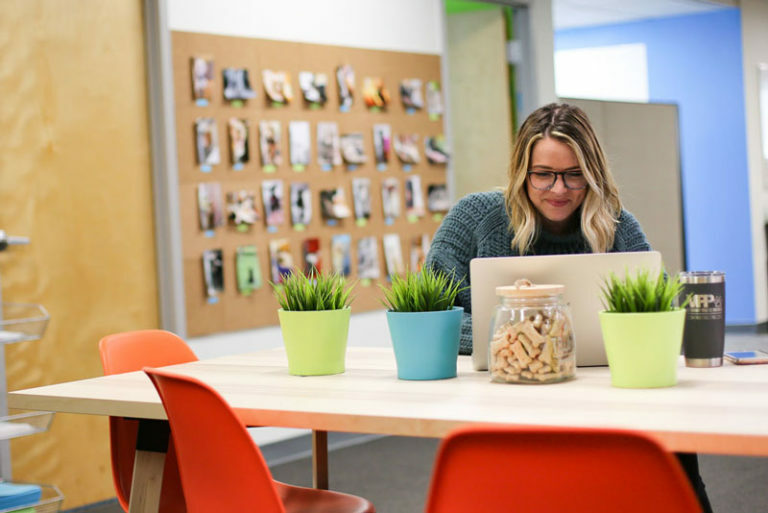 Vanessa Werner is the Office Administrator and Happiness Engineer at VPP’s corporate office in King of Prussia, PA, just outside of Philadelphia. Vanessa is a regular Jane-of-all-trades, and she keeps our office running like a well-oiled machine. She has a Bachelors Degree in Environmental Science from Albright College. When she’s not at the office, she enjoys hiking, gardening, bird-watching, and just generally being out in nature. She lives in the Philly suburbs with her fiancé and her spoiled-rotten Staffordshire Terrier, Penny. 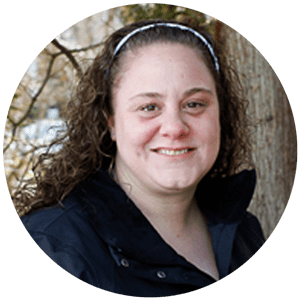 Vicky DiDonato is VPP’s Associate Systems Administrator which means she works with our IT team to keep all-things-technology running smoothly in our partner hospitals. She leverages her 20 years of IT experience on a daily basis, resolving complex technical issues for hospitals around the country from our suburban Philadelphia headquarters. When she’s not solving technology problems, you can find her spending time with her two children, Ava and Dylan, or spending time with friends. Al Nunez joined VPP in February 2018 as a Regional Operations Manager. In his role, Al serves to keep our partner hospitals running smoothly by supporting all hospital business functions alongside the practice managers and partners. Al received a Bachelor’s Degree in Animal Science from the University of Florida and a Master’s Degree from the University of Phoenix. In his free time, you can find him traveling to the far reaches of the world, cheering on his Florida Gators, or just kicking back with his family, including his dog, Coco, and python, Dallas. Jody Frazier is an Area Operations Manager with VPP. Previously, she worked at VPP partner hospital Truesdell Animal Care for thirteen years, eight of which were spent in a Practice Management role. Jody is uniquely qualified for her role as she not only has a Bachelor of Science degree from the University of Wisconsin at Madison, but she is also a Certified Veterinary Technician. When she’s not doing a stellar job managing hospital operations, she’s spending time with her husband, three children, three dogs, and four cats. She also enjoys baking, crafting, and cheering on her kids’ sporting events. Tosha joined VPP in September 2016 as the company’s first Talent Acquisition Specialist. Her primary role is to lead recruiting efforts that will further support the growing VPP team and its partner hospitals. Coaching staff members, especially veterinary technicians, to reach their highest potential is her passion. Most recently, Tosha spent two years at BluePearl Veterinary Partners in Tampa, FL as the first technician recruiter. Her enthusiastic leadership and strong interpersonal skills successfully supported the hiring efforts of over fifty hospitals. In 2003, she became a Certified Veterinary Technician, which provided years of first-hand experience in a hospital setting. 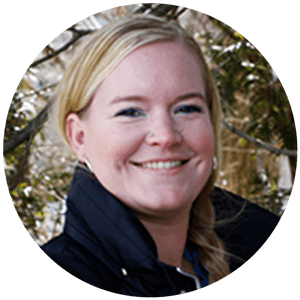 She also worked as a Certified Veterinary Technician at Tampa Bay Veterinary Specialists and a Licensed Veterinary Technician at BluePearl Veterinary Partners in Manhattan. Tosha is the past President of the Florida Veterinary Technician Association. Prior to earning certification as a veterinary technician, Tosha was responsible for client service at Tampa Bay Veterinary Specialists, and worked in the restaurant industry specializing in catering. Tosha earned her AS in Veterinary Technology from St. Petersburg College in 2002. Jordynne joined VPP in December 2016 as the Payroll & Benefits Supervisor. She brings 8 years of payroll and benefits experience, and a proven track record of success, to the VPP family and its partner hospitals. Most recently, Jordynne spent 3 ½ years as a Payroll Processor supporting the payroll, benefits, and employee programs at Lake Region Medical. She was responsible for processing payroll for 6 multi state entities with approximately 2,500 full-time and part-time employees through Automatic Data Processing (ADP). Prior to Lake Region Medical, Jordynne held similar positions as Payroll Administrator, Payroll Coordinator, and Senior Payroll Specialist. Jordynne also has extensive experience with employee benefit plans and is well-versed in payroll processing software. 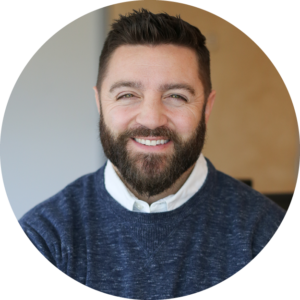 Jeff Gambino joined VPP in February 2017 as Director of Analytics and Business Intelligence. His role will be to lead the company’s strategic vision for operational growth by leveraging data to analyze marketing effectiveness and to optimize the performance of our partner hospitals. In addition, Jeff focuses on building high-performance teams at our partner hospitals by fostering strong professional relationships, understanding a hospital’s data needs, and providing reporting and analytics. Jeff is also responsible for highlighting the benefits of VPP’s unique co-ownership business model. Most recently, Jeff led the analytics effort at M3 USA, a firm servicing the human healthcare and life sciences industry. Through his team’s efforts, M3 increased operational efficiency, reduced labor cost, and increased customer satisfaction. 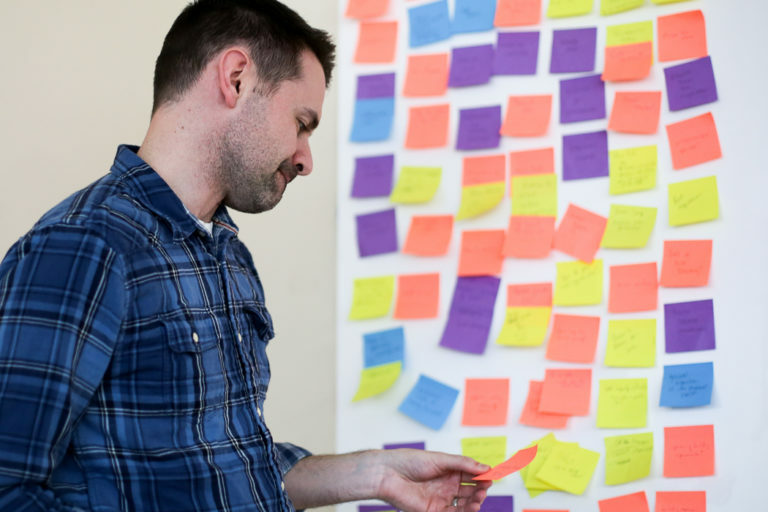 Prior to M3 USA, Jeff worked at Epocrates, a company that designs apps for physicians. Jeff was tapped on multiple occasions to build out new analytics and data functions in support of different products and services. His teams collaborated with business leaders throughout the organization to resolve marketing and sales questions through data. Jeff obtained his BS in Economics from the University of Pennsylvania. He went on to receive his Master of Business Administration from the University of Virginia’s Darden Graduate School of Business Administration. Kim joined VPP in February 2015 to provide direct support to our partner hospitals. She focuses on training and developing our practice managers, ensuring the hospitals maintain a positive culture, and helping ensure high quality cost-effective care is delivered to our patients. Prior to joining VPP, Kim spent 11 years with Banfield. She started as a Veterinary Assistant and worked her way up to becoming a Practice Manager. As Practice Manager, she was looked upon from her peers as someone to help them and support them. She travelled to multiple locations throughout FL providing training and leadership to her peers. 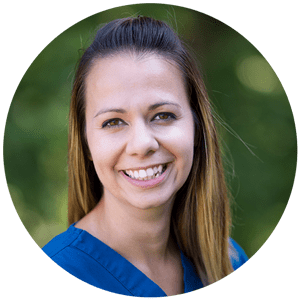 Prior to Banfield, Kim worked at a private practice for 5 years where she started as a Kennel Technician and worked her way up to becoming a Veterinary Assistant. Kim has experience in all roles and aspects of the hospital setting and will be able to share those experiences and skills with our hospital teams. Lakia joined VPP in April 2016 and serves as the Accounting Manager. She is responsible for the day-to-day accounting and reporting for VPP and its partner hospitals. 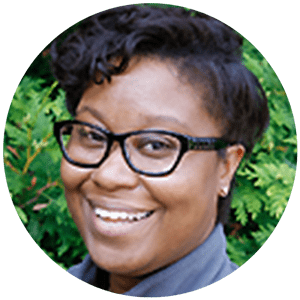 Lakia brings over 10 years of accounting and leadership experience to VPP. Prior to joining VPP, she was the Accounting Manager of Momentum Telecom, Inc. (Formerly known as Alteva, Inc.) She also worked as the Accounting Manager at Quench USA, Inc., where she was responsible for the monthly financial close process, including supervision of staff in their individual responsibilities related to the process. 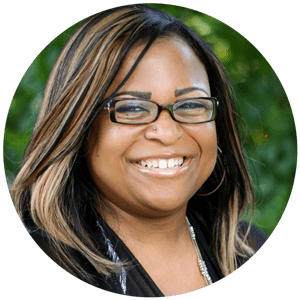 Prior to that, Lakia spent over 4 years at UGI Corporation in various positions such as Senior Internal Auditor, the SOX 404 Coordinator, Supervisor of Payroll/HRIS, and a Senior Analyst in the Revenue Accounting Department. She began her career in the Assurance Practice at PricewaterhouseCoopers, LLP. Lakia earned her BS in Accounting with a minor in Business Administration from King’s College. Michele joined VPP in February 2017 to provide direct support to our partner hospitals. She focuses on training and developing our practice managers, ensuring the hospitals maintain a positive culture, and helping ensure high quality cost-effective care is delivered to our patients. Most recently, Michele spent over 8 years with Banfield Pet Hospital as Field Operations Director. During this time, she supported veterinary hospitals over a wide geographical area spanning from Florida to Illinois. Michele’s empowering leadership qualities helped build strong teams of doctors, managers, and staff that improved the culture and quality of care offered at the hospital locations. Prior to Banfield, Michele worked with The Hertz Corporation. Her career began in Los Angeles as a Branch Development Manager, and her ambition and exceptional management skills quickly promoted her to District Manager. Michele continued to prove herself as a leader and became a City Manager. In this position, she was responsible for the management of numerous airport sites. Her ability to coach teams, generate effective sales, and ensure quality service promoted Michele to the role of Midwest Regional Off Airport Director. 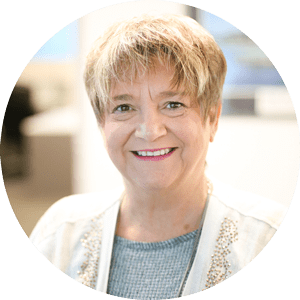 Finally, Michele moved up to General Manager where she was tasked with all facets of business growth, from marketing and business negotiations to staff development and team productivity. Michele earned a BA in Studio Arts with a minor in Business from Loyola Marymount University. Chris joined VPP in September 2018 as the company’s Chief Financial Officer and recently also took on the role of Chief Operating Officer. In his role, Chris leads all aspects of the finance and operations functions, including financial reporting, budgeting/analysis, and capital planning He also leads the operations team to ensure VPP hospitals run smoothly and profitably. In addition, he manages VPP’s capital raising activities and relationships with its lenders. Most recently, Chris spent five years as the Chief Financial Officer for PetroChoice Holdings, Inc., one of the largest lubricant distributors in the United States. During his tenure, PetroChoice more than doubled in size through a combination of organic initiatives and acquisitions. 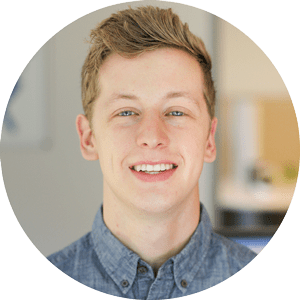 Chris was responsible for building the finance and IT teams and processes to support the business during this rapid growth and for evaluating and integrating acquisitions. 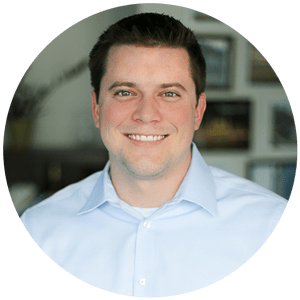 Prior to joining PetroChoice, Chris spent 12 years as an investment professional at Greenbriar Equity Group and Blue Point Capital Partners, where he focused on investments in the industrial and business service sectors. Chris started his career at Morgan Stanley working in the Real Estate Private Equity and Investment Banking groups. Chris graduated from Dartmouth College with a BA in Economics and received his MBA from Harvard Business School. Susan earned her CPLP (Certified Professional in Learning and Performance) certification in 2008. In addition, she is a Gallup-Certified Strengths coach, certified DiSC trainer and Predictive Index practitioner and proud Penn State alumni. 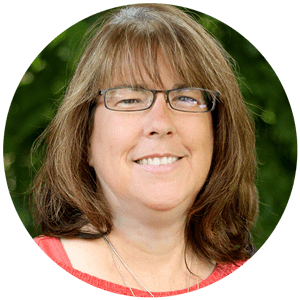 After starting her own consulting firm, Susan has successfully led the custom design and facilitation of leadership development programs for many small to mid-size organizations. 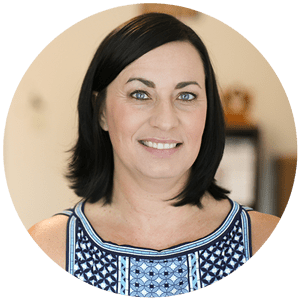 Susan has the ability to connect with others, meeting them where they are and adjusting her style to allow them to attain their goals in a productive and engaging way. This approach translates in the classroom as well as with her coaching. Her personal mission is for everyone to love the path they are on and to help organizations have engaged teams. Dave joined VPP in 2015 and serves as Company Controller. He is responsible for the day-to-day accounting and reporting for VPP and its partner hospitals. 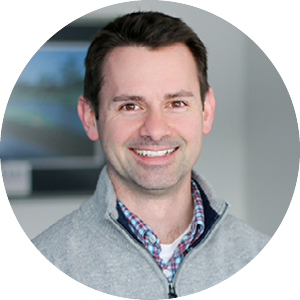 Dave brings over 15 years of accounting and leadership experience to VPP. Prior to joining VPP, he was the Controller of Quench, USA Inc. He also worked as the Director of Accounting for GPX Enterprises overseeing the accounting and reporting functions for its various portfolio companies. 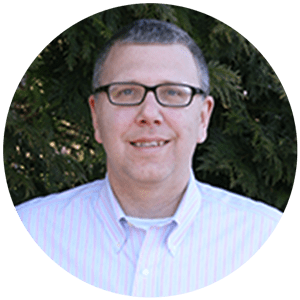 Prior to that, Dave spent over 7 years at Airgas, Inc. in Internal Audit and Financial Operations focusing on Sarbanes-Oxley Compliance and Acquisition Accounting. He began his career in the Assurance Practice at KPMG. Dave earned his BS in Accounting and International Business from Drexel University. Jim Connor serves as VPP’s Senior Payroll Accountant. In this role he conducts payroll processing, funding, and accounting for all of VPP’s partner hospitals. He earned a BS in Accounting from LaSalle University, and has two adult children and a Shih Tzu named Utley, after beloved Phillies Second Baseman Chase Utley. When he’s not at VPP, you can find him with his toes in the sand at one of South Jersey’s beautiful beaches. 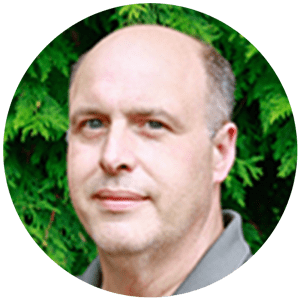 Steve Laurie is VPP’s Systems Administrator where he spends his time providing technical support for VPP’s family of hospitals, and managing the IT team. As part of his role, he also conducts IT project management and network design & implementation. When he’s not ensconced in the server room, or remoting onto one of our practice’s servers, you can find him reading sci-fi novels or spending time with his three children and 5 dogs. Burglars beware; Steve is a 3rd degree Black Belt in Tae Kwon Do, but also studies Krav Maga and Brazilian Jiu Jitsu. Sean Halliburton is the Area Manager for VPP’s South Carolina hospitals. He is uniquely qualified for his role as he not only has a Bachelor of Science in Healthcare Management, but has spent many years as a Practice Manager for various veterinary and human healthcare practices. When he’s not helping our SC hospitals with their operational needs, Sean enjoys target shooting, archery, and spending time with his wife, Ann, and their three kids Brittany, Austin, Hayden and the family dog Maddie. Sean also coaches the local high school football team and has been a paramedic for over 29 years. He served on the Disaster Medical Assistance Team conducting medical operations for Hurricanes Katrina, Rita, and Gustov, and as a Flight Paramedic for Travel Care International. Amanda Candelaria, or Mandy as she’s known to the hospitals, is VPP’s Operations & Systems Specialist. She is a regular Jane of All Trades, but the heart of her role is in assisting our awesome practice managers with their practice management systems, building and executing reminder protocols for our hospitals, and helping refine inventory processes. Prior to joining VPP, Mandy spent 3 years as a U.S. Marine, acting as part of the Marine Wing Division while overseas in Iraq. When Mandy isn’t at the office, you can find her crafting, watching true crime shows, testing out new vegan recipes, or taking photos of her two dogs, Sully and Raven. Lindy Quick works in VPP’s marketing department as our Visual Design Manager. As with most of us at VPP, Lindy wears a lot of hats. 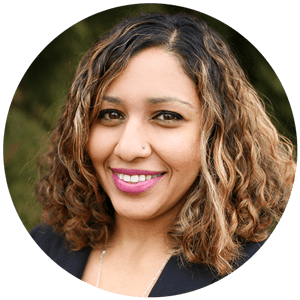 Along with content generation, she also designs an array of print marketing materials, email campaigns, and advertisements for our hospitals. Making good use of her Art Institute degree, Lindy is also one of the marketing department’s strongest creative forces, designing hospital logos and client collateral. In her time away from the office, she enjoys vacationing outdoors, hiking mountain trails, and creating personal art projects. 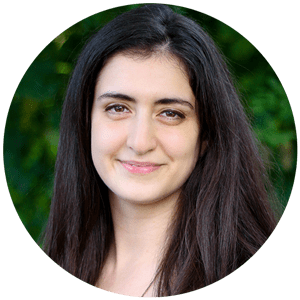 Amira Barakat serves as VPP’s Business Intelligence Manager. In her role, she assists the Director of Business Analytics in making sense of the all the data generated by our partner practices, in order to help make informed decisions about how to improve our hospitals.  Amira utilizes years of previous experience in business intelligence, as well as her B.S. in Finance, and MBA from Penn’s Wharton School of Business. When she’s not crunching numbers at VPP, you can find her hanging upside down doing aerial sports, including Lyra Hoop, Silks, Aerial Yoga, or running marathons. Dave is a Help Desk Analyst with VPP’s Systems & Technology department. In his role, he provides IT support for VPP and our partner hospitals. From hardware issues to practice management system concerns, Dave’s your guy. When he’s not working through IT issues with our hospitals, Dave enjoys Warhammer tabletop gaming and even travels to tournaments some weekends. Dave grew up in Hawaii, where he learned how to breathe fire, but currently resides outside of Philly suburbs with his fiancée and his spoiled-rotten Staffordshire Terrier, Penny. Colin serves as a Business Analyst in VPP’s accounting department. In his role, Colin analyzes financial statements to ensure accurate reporting and makes necessary adjustments, as well as provides insights on how our hospitals can improve profitability. Colin has a degree in Business Administration from Bob Jones University in Greenville, SC. When he’s not at the office, Colin enjoys hiking, snowboarding, watching & playing basketball, and writing music – check out his albums on iTunes or Spotify! Donna Wagner-Rago is one of VPP’s Regional Operations Managers. Donna has over 25 years of multi-unit management experiences, 10 of those spent in the veterinary industry. Her core competencies include team development, team building and action-based planning that delivers results through execution. She currently resides in Denver with her two furry kids, Peanut Butter No Jelly, a Japanese Chin rescue, and Luigi, who is a Havanese rescue. In her spare time, Donna likes to travel, enjoy time in the sun, volunteer in her community, and cook for her family. 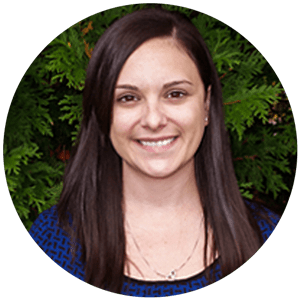 Rebecca joined the Talent Acquisition team with a decade of candidate sourcing experience, focusing primarily in the medical billing, financial, and insurance industries. She enjoys speaking with candidates to find out why they have chosen their career paths, and enjoys the variety of candidates she gets to speak with daily. She studied Education at Valley Forge University and has a passion for training adult learners. 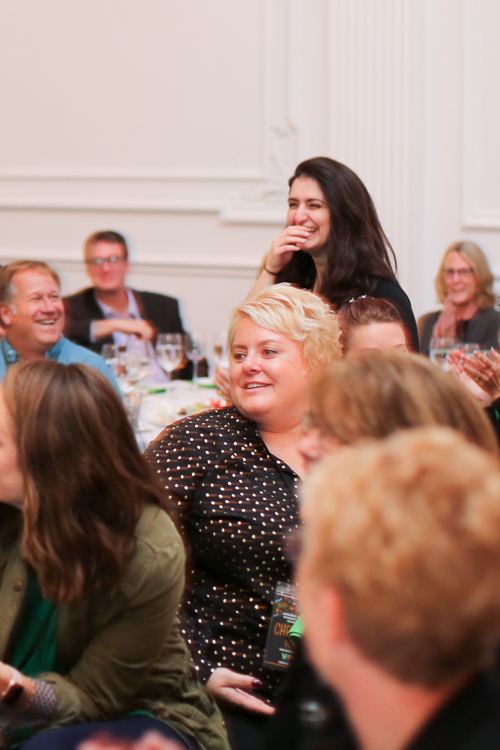 In her spare time, she teaches improv comedy classes to adults and teens in the Phoenixville, PA area. She also performs, books, and markets for an improv comedy team called The Last Minute Replacements. She lives in the outer suburbs of Philadelphia with her husband, daughter Julianna, and two cats – MousyFace and TinyToes, who specialize in napping and begging for tummy rubs. 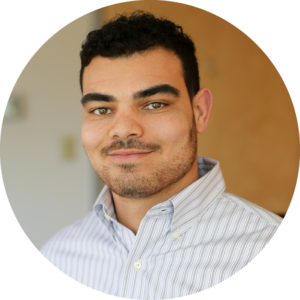 Matthew Butler serves as one of VPP’s Business Analysts. In his role, Matthew analyzes financial statements to ensure accurate reporting and makes necessary adjustments, as well as provides insights on how our hospitals can improve profitability. He has a Masters of Accounting from Juniata college. When he’s not at the office, Matthew enjoys adult sports leagues or taking his Golden Doodle, Louie, to the dog park. 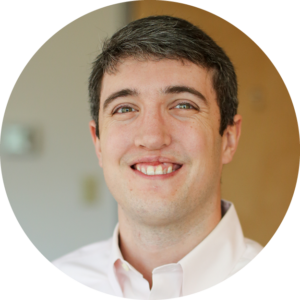 Alex McLemore serves as one of a VPP’s Business Analysts. 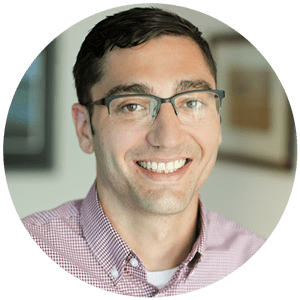 In his role, Alex analyzes financial statements to ensure accurate reporting and makes necessary adjustments, as well as provides insights on how our hospitals can improve profitability. Alex has a B.A. of Finance from Juniata College, and a B.A. of Accounting from Ball State University. When he’s not at the office, you can find him snowboarding, waterskiing, traveling, or hiking with his Black Lab, Riley. 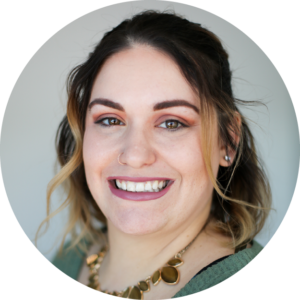 Brianna Gedraitis serves as a Partnership Development Associate in VPP’s Business Development department. What does that mean?  It means she is one of the first voices prospective partners hear when they reach out to learn more about VPP’s unique co-ownership model. 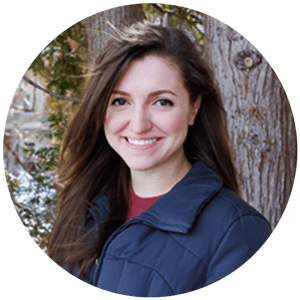 When Brianna isn’t working with potential partners at VPP headquarters, you can find her continuing her business degree at Temple University’s Fox School of Business, where she is currently in her final year, or spending time with her cat, Cleocatra, and 2 dogs, Sal & Sadie. Jamie Jamnik joined VPP in January 2019 as one of VPP’s Regional Operations Managers. In her role, Jamie provides direct support to our partner hospitals by focusing on training and development, ensuring the hospitals maintain a positive culture, and helping our hospitals provide high quality cost-effective care. Previously, Jamie served as a field director for Coyne Vet, and also as a Certified Vet Tech. She received her Bachelor’s Degree as well as her Veterinary Practice Management Certificate from Purdue University. She also received an Associate’s Degree in Veterinary Technology from Joliet Junior College. When she’s not working with our hospitals, Jamie loves to spend time with her 3 children, and working on her farm, on which she has over 80 animals.  Rich has spent his career working in human and veterinary healthcare services. His primary focus has been creating joint ventures with doctors at each of the organizations’ various locations. 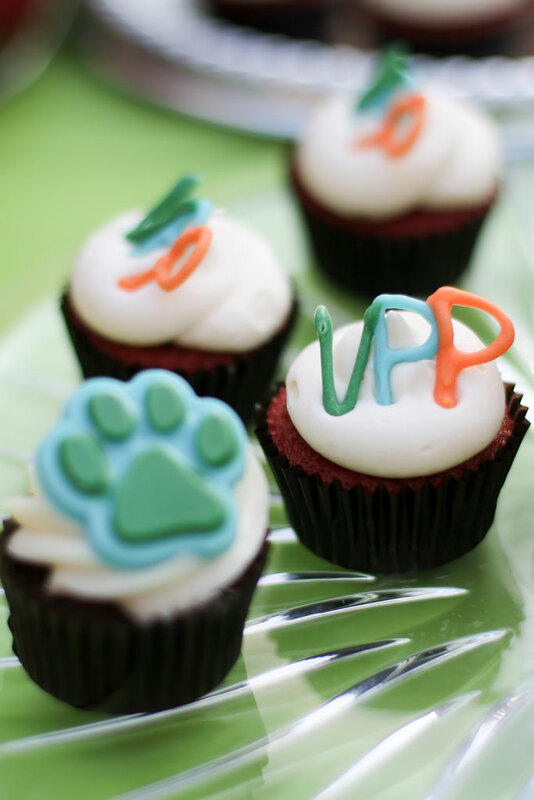 VPP is bringing together his years of experience and expertise to build a unique veterinary business. Rich most recently spent almost three years as the President of BrightHeart Veterinary Centers. He built and centralized the administrative functions, including accounting, vendor contracting, and employee benefits. Additionally, Rich was responsible for identifying, negotiating, and closing multiple acquisitions, supervising the integration of the newly acquired hospitals into the BrightHeart family of practices and overseeing their operations. 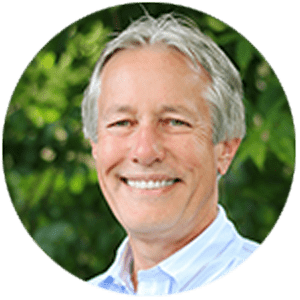 Before joining BrightHeart, Rich was Co-CEO & CFO of Pentec Health, a specialty pharmacy business in suburban Philadelphia focused on nutritional therapies for the dialysis industry. 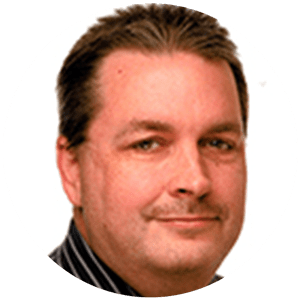 Prior to Pentec, he was CFO and Senior Vice President of operations at IntelliCare, Inc, a disease management and medical call center business based in Portland, Maine. Earlier in his career, Rich spent over 7 years with DaVita, Inc., a leading dialysis provider. During this time he was directly responsible for establishing and managing many joint venture relationships with nephrologists that worked in DaVita’s dialysis centers. He held a variety of senior management positions including Vice President of Development and Operations for the New York region, VP of Investor Relations, and a member of the Company’s Executive Committee. Rich started his career at Bear Stearns & Co, Inc. in the corporate finance group. He earned an MBA at UCLA and Bachelor’s degrees from the University of Pennsylvania in both Finance and American History. Tricia Kinne joined VPP’s Executive Management team in February 2019 as our Vice President of Human Resources. Tricia brings over 20 years of experience in all areas of human resources, the last 12 of which at Physicians Endoscopy as their head of HR. In her role at VPP, Tricia will be working closely with the VPP team in delivering HR support to our hospitals, particularly in the areas of talent acquisition, benefits and compensation, continuing education and training, performance management, employee engagement and much more. 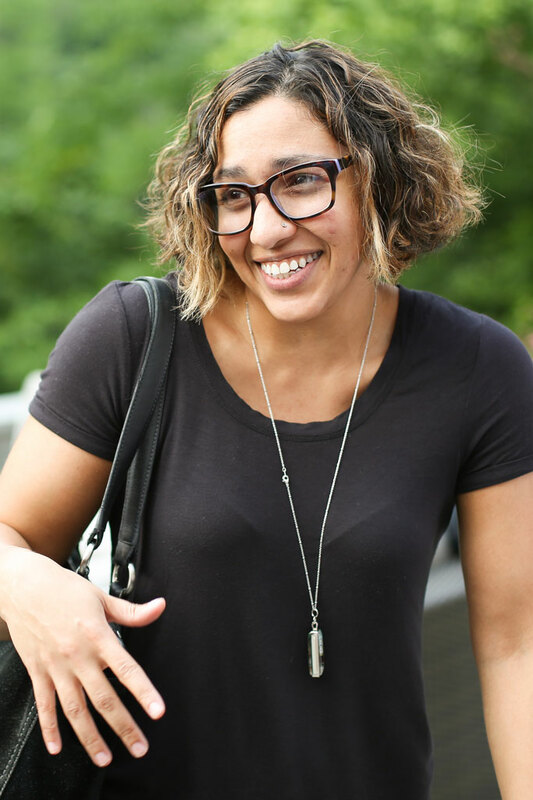 She has a BA in Labor & Industrial Relations from Penn State University, and is working toward her MS in Organization Development and Leadership from St. Joseph’s University in Philadelphia. 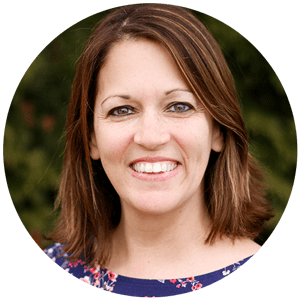 When Tricia’s not at the VPP offices, she enjoys going to her 4 kids sporting events, hiking and walking her dogs, gardening, and trying new restaurants. She has 2 rescue dogs, Breah, a pit bull mix, and Luke, a dachshund/beagle mix. She also has a rescue cat named Cooper, who is, of course, Bradley Cooper’s namesake. Olivia Stofko serves as one of VPP’s Marketing Manager’s, assisting VPP partner hospitals with all their marketing-related needs. 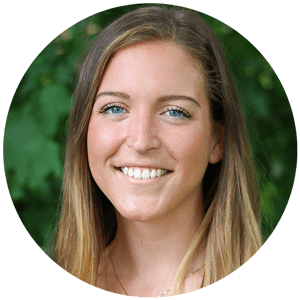 Olivia brings a significant background in multi-site marketing management, having previously led the marketing efforts for Hankin Group, who own multiple apartment complexes across Chester County, PA. She graduated from York College of Pennsylvania with a B.S. in Marketing & Advertising. When she’s not creating new marketing for VPP’s family of hospitals, you can find Olivia doing yoga, crafting or playing piano. A fun-fact about Olivia is that she has six years of experience playing the xylophone!